In the year 1968 summer storms blew in from the west and raged across Northeastern Ohio. Lightening flashed, thunder rumbled, and the waters rose. Amid the floods and not far from The Great Road, Jim St. James was born. His parents’ home was nestled on the edge of 1,500 acres of enchanted, wooded parkland. He spent his childhood days exploring the broad-leaf forests, shale grottos, and river valleys. When darkness came he would sneak from his bedroom, wander into the night, and whisper to the moon. His parents saw to it that he was trained by artists, scientists, and priests. 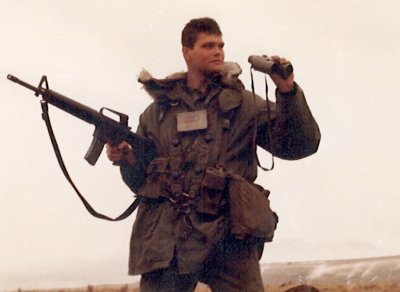 When Jim turned 19 he sought the training of warriors and joined the U.S. Army as an infantry soldier. The military stationed him at Ft. Lewis. It was then that he first encountered the Snoqualmie Territory and came to understand that Washington State was his spiritual home. 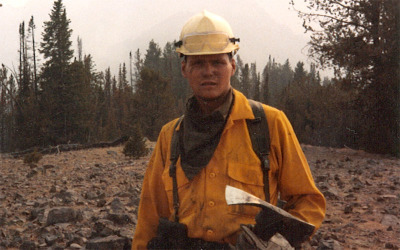 His unit was deployed to Yellowstone in the year 1988 when a great fire was ravaging that land. His battalion fought the fire, saving forests and towns alike. He saw firsthand the devastating consequences that can occur when malicious entities escape the Strange Realms and manifest in the physical world. It was a pivotal experience, and not the last one like it in his military career. When the flames were out the men of his unit left Wyoming as heroes to its people. That same year, he entered the Spirit World for the first time in full awake awareness. In the decades to come he would explore the edges of the Strange Realms again and again through meditation, vision quests, and sweat lodge ceremonies. 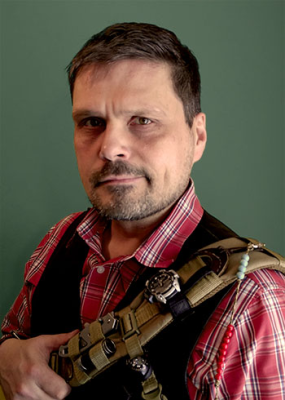 Well decorated, he exited the Army after four years and enrolled at The Evergreen State College in Olympia. There he took courses in cognitive science and spiritual ecology. After graduation he began training at an Aikido dojo where the meditation practice lead him to spontaneously perceive elements of the Spirit World overlaid onto the physical. He went on to become an accomplished rock climber and mountain guide. 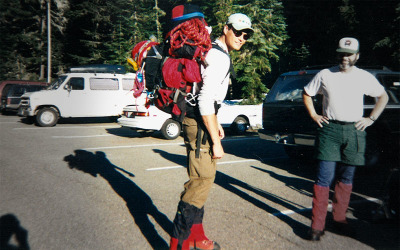 In the year 1998 he climbed six different 10,000+ foot tall Cascade peaks in six months. During his Mt. Rainier assent he had an important encounter with a white fox while alone at night on Emmons Glacier. He formally moved to the Snoqualmie Territory in 1999. Soon thereafter he met Warden Jerry Black. In the year 2008 he accepted the invitation and responsibility to be Warden himself. He now resides in the town of Snoqualmie with his wife and two kids. They are all happy to call bears and bobcats their neighbors. Today, as Warden & Protector of the Snoqualmie Territory, Jim St. James regularly patrols its trails, mountains and forests. He constantly straddles the boundary between this world and the others, and works to keep the region safe for all.